Not every child is wandering the streets, orphaned and alone, but that doesn’t mean they are not in desperate need of a helping hand from Stand by Me and their sponsors. Take Robert (aged six) and Angela (aged nine), for example, who are two siblings who were living with their caring, widowed mother in an extremely basic, ‘family home’ in Burma. They had a roof over their head, with the love of a parent, but they did not have regular food, the stability of a secure, permanent home or the hope of a bright future through education. Robert and Angela’s mother, Daw Khin Nguaih, is just like many other mothers, who long to give their children the best they can in life, but unfortunately it breaks her heart to see that she cannot provide enough for what they need. Losing her husband when her children were very young left Nguaih struggling to find work whilst bringing up her children in a home in very poor condition. She laboured hard picking tea each day, but it was still not enough to put food on the table or pay for her children’s education. Just a few weeks ago, with a heavy heart, Nguaih bought her children to the Yangon Children’s Village where they are now enrolled in our Stand by Me home. The children are from a Buddhist family and cannot speak Burmese which has been an additional obstacle to overcome as these children first encounter their new home but both Robert and Angela are settling in and will keep in regular contact with their mother. Robert is proving to be a kind boy, he loves his music and his ambition is to be a singer. 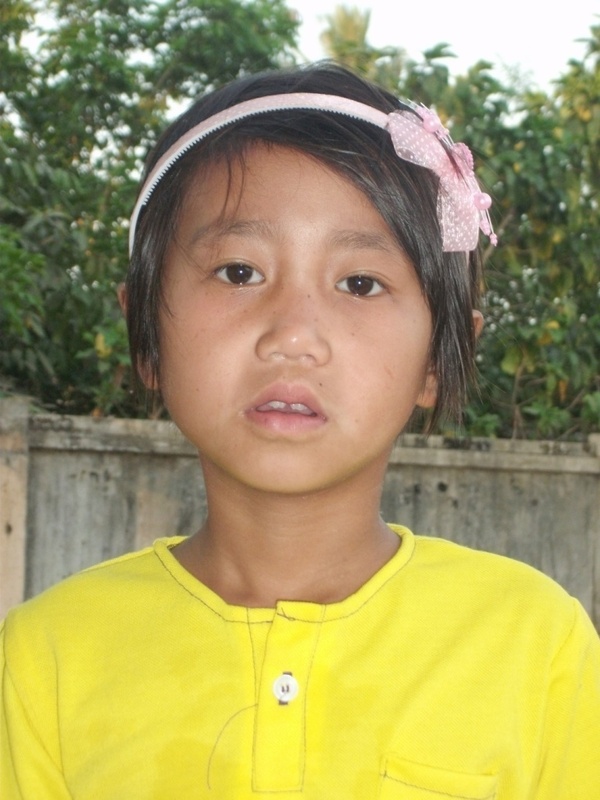 Angela is very happy to be joining our home because she is very excited to be able to continue with her studies, she is a very bright girl who loves to cook and play with her toys. As these two children begin to settle into our Yangon Children’s Village, we keep them in our thoughts as Angela’s face shows the apprehension she feels at such a change in lifestyle. They are beginning to get to know their new Stand by Me brothers and sisters and house parents, and they will now be able to attend school on a regular basis, enjoy a healthy and nutritious diet, and most importantly, look forward to what the future holds for them. We will soon see their apprehension transforming into beaming smiles.